A personalized fitness program designed by celebrity fitness coaches Jim and Toni Saret? Yes, please! Kim and Khloe Kardashian. JLo. Kate Upton. Heidi Klum. Do you really think these celebrities achieved their curves, all on their own? Truth is, they all have fitness trainors who design programs that fit their needs and their lifestyle. Personalized fitness programs have been known to produce the best results and have enjoyed higher take ups. People are more likely to follow the fitness routine if they see that it fits their goals and lifestyles. Unfortunately, personalized programs are not inexpensive. It can cost far more than the usual gym membership. After all, if you really can’t do it on your own—and are constantly finding excuse upon excuse not to exercise—then it’s time to get some help. 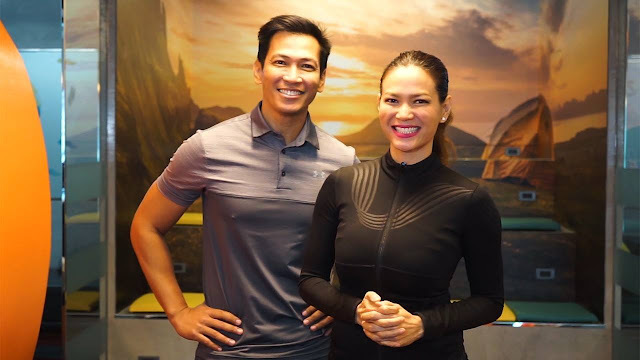 Celebrity fitness coaches Jim and Toni Saret of “The Biggest Loser: Pinoy Edition” fame and cable TV wellness show “Metabeats” are taking their fitness advocacy on Facebook via FWD Lifetime of Possibilities Bucket List Contest. The proponents of the FitFil National Weight Loss Challenge and fitness leads of FWD Live to Move fitness parties will personally guide the winners so they can achieve their #fitnessgoals. That means having a fitness program tailor-fitted to their goals, needs, and lifestyle! To join, go to http://bit.ly/2zoAXR4 and tell the coaches in the comments section the number of pounds you want to lose in the next few months, like and tag FWD’s FB page: FB/@fwdlife.ph, tag five friends, and use the hashtags #EmbracethePossibilities and #FWDLifetimeofPossibilities. You can also visit www.facebook.com/@fwdlife.ph and check the pinned post! If you’re serious about getting fit, then do something about it. Put your heart and mind into it. Not in tomorrow’s (or whenever you feel you’ll be ready to start) fitness routine, but in today’s workout. Not in your future well-being, but in your well-being now. You are how you move. You are what you eat. You are how you balance being healthy and enjoying life. So stop making excuses and start making moments! Like www.facebook.com/fwdlife.ph for upcoming bucket list contests featuring Chef Rolando Laudico, directors Perci Intalan and Jun Lana of Die Beautiful, and a lot more. You can catch Coach Jim and Coach Toni at the FWD Live to Move fitness party on December 3, 2017, 4 PM, at the Central Park, SM By the Bay, Mall of Asia.